The following list is aimed for the most part toward complete or relative newcomers to pipe enjoying, but even experienced pipe men or women may find it useful. Although these guidelines may seem obvious when read in cold, hard type, so to put it, we have witnessed people with years of experience committing many of the Dont’s without a thought, and by the same token first-time enjoyers who grasp all of the Do’s as if by second nature. But first for a few definitions that are necessary to continue. Bit: The official name for the part of the pipe that is placed in the mouth and commonly referred to as the stem, but in fact includes the entire piece from button to tenon. Through the bit the smoke is drawn back to the taste-bud before being exhaled, unlike cigarettes. Bits are most often made of Vulcanite (black) or Ebonite (the natural blackness of which can be altered with various colors and patterns). Both of these are hardened, more durable forms of rubber, and can oxidize with age. Other bit materials include acrylic (Lucite), higher quality plastic available in translucent or colored varieties that do not oxidize; regular, cheap plastic more prevalent in the most inexpensive of pipes; amber gemstone, red, yellow or orange, brittle and formed from the fossilization of ancient pine trees, and rare in most pipes made after the early 20th century; Bakelite, a condensation of phenol or its variations combined with formaldehyde into another form of plastic; nylon, and even wood such as bamboo. Button: The part of the bit with top and bottom ridges used for the teeth to hold onto, also called the lip. And of course, there are different varieties of button types: standard, fishtail, p-lip, denture, wide comfort, regular (single bore), double bore and double comfort. The last two, with pairs of small holes for drawing the tobacco smoke, are designed to be bite-resistant. Tenon: The narrow end of the bit or shank made of Vulcanite, plastic or acrylic and/or metal that twists or screws into the shank and acts as a sort of filter. Note: some pipes have reverse tenons built into the shanks that twist or screw into the bit and may or may not be removable for cleaning. Shank: The extension from the bowl with an airway – in general round, triangular or almost flat – connecting the bit and bowl. Mortise: The wider opening of the shank where the bit is inserted. Draught hole: The narrow hole in the shank from the mortise entry to the bottom of the chamber. These are the basic Do’s and Dont’s of pipe and tobacco care. Recline in a comfortable chair with a nice pipe loaded and a chamber-full of good tobacco, relax and peruse the contents. This is not a set of rules to be memorized at once; there will be no test when you finish, at your own speed. The intent of making an ever-changing guide for connoisseurs of pipes and their plentiful varieties of tobaccos is to provide a handy source of information to consult as needed. DO: Try to fill the chamber with tobacco using this three-step method. First, fill the bottom third of the bowl loosely (baby’s touch), then the middle third use a firmer hand (mama’s touch) and finally a still firmer hand (papa’s touch) to top it off, tamping the last until it springs back a little about an eighth of an inch below the rim, but not so firmly as to create a tight draw. This approach should result in a good initial charring light and then, after tamping the first thin layer of ash, a more lasting one. The desired result is a thorough, even burning of the tobacco throughout the smoke. Still, re-lighting and occasional tamping are natural, as with cigars, due to the tighter packing compared to cigarettes and the contemplative nature of savoring a pipe. DON’T: Never stuff or cram all of the tobacco into the chamber. Doing so is almost certain to prevent lighting at all or cause the tobacco to stop burning due to lack of oxygen, and, if forced to light, often results in a wet, harsh taste and a backwash of brackish spittle, also referred to as dottle. DO: Always try to light the tobacco with matches or a special lighter, designed for pipes, that aims the flame directly into the chamber. If necessary, an average lighter such as a Bic can be used, with care to keep the flame in the chamber to avoid rim burning. DON’T: Never, ever use a cigar lighter, also known for good reason as a torch, to light pipe tobacco. The chamber will develop burnouts, or holes through the bowl, as a result of the intense heat of the cigar torch. Even with a pipe lighter or Bic, careless use will burn the rim. DO: Remember the pipe is not a cigarette or cigar and should not be inhaled! The tricky part is in drawing the smoke into your mouth, sometimes all the way to the taste buds which are most prominent on the back of the tongue and roof of the mouth, to discover the full mixture of flavors of a fine tobacco blend. This ability comes with practice and learning to close your throat. The ability to inhale and exhale through your nose with a pipe in your mouth will become habit, and it is clear you are doing so when the embers in the chamber do not glow red and a little plume of smoke does not rise from the still-lit tobacco. I have noticed a peculiar physical reflex caused when my mouth is clamped on the bit and I inhale through my nose: the back of my throat closes on its own. I have no idea what this phenomenon is called, but try it. Of course, just as there are folks who are double-joined or otherwise able to perform atypical physical feats, so also may be the case with some of those who fancy pipes. DON’T: As inhaling pipe smoke will make all but the most devil-may-care old-timer cough violently and indeed become quite sick, it’s simple: don’t inhale! Pipes are by far preferable to cigarettes first for the reason they are not to be inhaled and for the absence of the poisonous, addictive chemicals added to cigarettes (a.k.a. coffin nails, cancer sticks). DO: Enjoy your pipe. Puff it as you would sip fine liquor or another special beverage. DON’T: Refrain from rapid, constant puffing like a locomotive that will overheat the tobacco and hence the pipe. Not to kick a dead horse, but again, the higher the temperature of the tobacco and pipe, the more probable that damage such as burnouts, cracks, large pocks in the chamber and other irreversible harm will befall your pipe. No pipe, including a corn cob, need be considered disposable. DO: Holding the pipe upside-down by the bit with one hand, gently tap the shank against the other hand to release the ash and unsmoked tobacco into an appropriate receptacle, such as an ashtray. A small, spoon-like scoop on one end with a tamper on the other, for purposes of loosening remaining contents of the chamber and tamping the tobacco in the chamber, is often needed to complete the task and is very inexpensive, even in the more elaborate three-piece variety. DON’T: As hard as it may be to overcome the common habit, never bang or even tap the rim against a hard object. This will, sooner or later, leave chips and dings on the rim and upper bowl and also lead to cracks in the bowl and/or shank and even more serious damage such as bending the tenon or even breaking the shank. Also, never empty the spent ash and tobacco into an unsafe receptacle, including trash cans and paper bags, because of the risk of resulting fire. DO: Always wait until the pipe is cool before removing the bit and cleaning the pipe to avoid breaking the tenon, bit or shank. Gently remove the bit, holding the stummel (the bowl and shank) firmly in one hand and steadily turning the bit until the tenon is clear. In some cases, the bit may be so tight it will not turn. If that happens, try the same disassembly method above, but instead rotate the stummel. Standard (or soft), bristled, extra fluffy and churchwarden pipe cleaners are among the few absolute necessities for pipe care. They are vital for regular removal of moisture and other accretions from the pipe stem as well as the inner shank and start at about $2 for a pack of 35. Walgreen’s sells three-packs at a great savings but might only have the bristled kind. Use regular cleaners on most pipes, which have large enough airways in the bits to fit the soft cleaner, in particular when soaked with alcohol for periodic deeper cleaning. Also, moisture and detritus in the shank all the way to the draught hold at the bottom of the chamber are absorbed better by the regular or extra fluffy cleaners, and the wire from the bristled variety can wear grooves in the bottoms of meerschaum and clay chambers. That said, there are exceptions to almost every rule and times when a fluffy cleaner just won’t fit through the bit or shank. So keep some bristly cleaners on hand for those situations! A paper towel is best to clean the chamber of all pipes so as not to remove the desired 1mm of uniform cake. All of these steps can be done every time the pipe is used, but should not be avoided, on average, more than every two or three times the pipe is enjoyed – and should be taken before replacing the pipe on its stand or in its bag and/or box, lest moisture causes the pieces of the pipe to become stuck together. A note on filters: dispose of any separate filter you might use in some tenons as needed, and insert a fresh replacement when finished cleaning the pipe. The need for filters is disputed and depends on personal preference, and when they are saturated the user will be aware from the typical foul taste and gurgling of the draw. 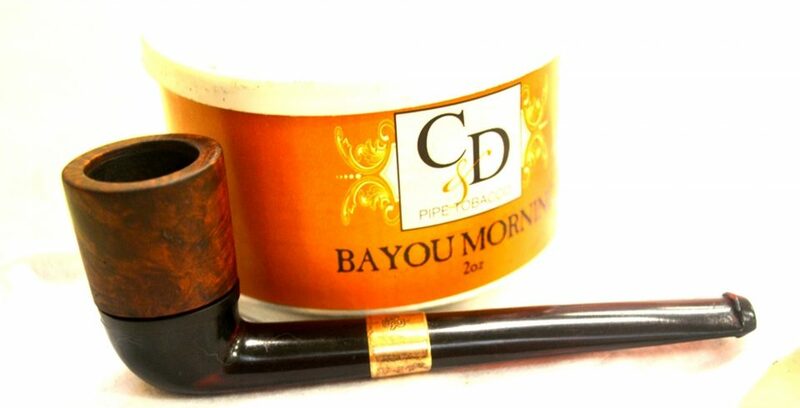 They come in several varieties: Dr. Grabow paper types that fit most U.S. made pipes designed for such use, including corn cobs; the Medico 66-baffle paper system that is interchangeable with the Grabows; Savinelli balsa strips; 9mm options for larger bores such as many British pipes, and still other, more elaborate models. Most knowledgeable pipe enthusiasts, who tend to have collections, also recommend a “cooling-off” period after smoking a single pipe several times so that the flavor of the tobacco is at its best and without any brackishness. The length of time between smoking a given pipe is a matter of intense debate. Therefore, as a rule of thumb, get to know your pipe(s) to decide how long is needed for yours. Still other supplies for pipe cleaning, including liquid solutions and wire brushes, are inexpensive. Screens of the kind used for pipes made for smoking alternative ingredients should be unnecessary if the tobacco pipe is well-engineered and maintained, and brands like Savinelli sometimes include special balsa filters. DON’T: Failing to clean the pipe regularly can cause the bit and shank to become filled with thick, wet, harsh substances leading to an unpleasant pipe experience as well as the previous warning about sticky parts, not to mention greater cake buildup and, ultimately, the need for professional cleaning. Never use a makeshift object, such as a pencil, screwdriver, paper clip or anything else that can break the wood and other material of the pipe or become lodged in any part of it. This is a common way to disable or destroy a good pipe and cause great grief. Never use a knife or other sharp object to clear away excess cake buildup in the chamber. Gouges in the chamber can lead to burnouts if smoked before repairing, as one example of potential problems. Consult your local tobacconist, who will likely do it for you at no charge. If you feel an overwhelming need to rid the chamber of unwanted cake yourself, use a reamer designed for the purpose, careful to leave the 1mm or so of cake. They are available online at reasonable prices and various types. Don’t twist the bit in a back and forth manner as this creates friction and heat that over time damages the pipe. Do not force the separation! Again, consult your local tobacconist for help or advice! I know ways to deal with this situation but feel it advisable not to mention them here so as not to be blamed for any resulting damage to a wonderful pipe should the reader employ the wrong measure. DO: If your standard briar pipe has not been cleaned on a regular basis long enough for the bit and shank to become congested or clogged with tobacco or a dark mixture of saliva, tar and other foul liquid combinations, you can dip as many pipe cleaners as are necessary in Everclear 190-proof alcohol (where available) and run them through the bit and shank until they come out relatively clean. Everclear, a brand of ethanol (rectified spirit, the type from which drinking alcohol is made) is the best type for this process, as it is very strong and dries faster. However, not everyone can get his hands on the stuff, so unflavored and colorless high-proof vodka is a good alternative. The only rectified spirit stronger than Everclear is Spirytus Vodka from Poland, at 192-proof (the absolute – no pun intended – highest purity), and can be found for $15.99/375 ml compared to $11.99 for Everclear. Even 92% isopropyl alcohol is an acceptable alternative that can be obtained almost anywhere inexpensively. DON’T: Do not use methyl, propyl or butyl alcohol, which are for laboratory and industrial purposes, to clean any part of a pipe. These other types of alcohol are poisonous and often lead to blindness and death. Do not use anything with more than a very small alcohol content to clean Lucite, or acrylic, bits as well as softer woods such as cherry. Alcohol can and will cause warping of bit substances other than Vulcanite. In particular, never use regular strength alcohol to clean the shank or chamber of meerschaums (which, by the way, often come with acrylic bits). Instead, use pipe sweetener, or freshener. The Castleford brand has worked well for me but is blue and therefore should not be allowed to touch the outer bowl and shank, so as not to discolor the porous material. DO: Remembering that the tobacco pipe, even corn cobs, is a fragile but durable object of beauty and utility, regardless of the price, always store and transport it with care. Padded travel pouches made of leather and less expensive materials are available as well as boxes. If it came with a sleeve and/or box, keep it there and in a safe place when not in use. DON’T: Do not store or carry a pipe anywhere without respectful protection. Chafing, scratching, dirtying, overheating or unintended falling to the ground are likely results. Like DVDs, pipes are easily damaged, in particular if left near a home heating device or in a motor vehicle. DO: The same rule applies to the tobacco, which dries out faster the warmer its storage place may be. Various sized small jars available at stores like Walmart, individually or in flats, are great for preserving the moisture of tobaccos. Small mailing labels can be placed on the side of the jar to describe the tobacco in it, or the information can be written on the lid with an indelible marker. However, if your goal is to set aside tobacco to let it age (called cellaring, from the ideal storage location), transferring the contents of a tin or other package to a jar will not do the trick. To age tobacco, either leave it in the original vacuum-packed container or put it in a durable special baggie and vacuum-pack it yourself. You can write the brand and name of the tobacco and the date it was made if known, or the date packed, on the baggie with an indelible marker. Whether you keep your tobacco in the original package or a jar, if it becomes dry, it can always be rehydrated by various methods, including my personal favorite, the Hydrostone. Soak the stone in purified water for about ten minutes and then place it in the package. The dryer the tobacco, the longer the rehydration will require – from hours to days. In extreme cases, re-soaking the stone may be necessary as many times as it takes. DON’T: If you do not use a particular tobacco very quickly, it tends to dry out in the original package even if it is stored in a place that is cool. So it’s a good idea to invest in the glass jars and always store your tobacco in a cool location (but as with coffee, not a refrigerator). DO: Choose your pipes, in particular the first time, based on three easy factors: æsthetic (personal appreciation of beauty), mechanical and financial. The most important of these is the first, being your own, very personal attraction to the pipe. These marvelous instruments of relaxation and deep thought come in many different styles, shapes, sizes and materials. Styles include full-bent, bent, straight and sitters, to name some. Then there are natural (smooth), carved, rusticated and sandblasted finishes. The shapes are numerous including classics such as the apple, billiard, brandy, bulldog/Rhodesian, calabash, cherry wood (both the wood and one style of sitter), churchwarden and Dublin. Then there is the original Danish freehand with the plateau (rough top) rim, and all sorts of artisan pipes by independent makers, some of which defy description and can only be called freehand. Find one that you like, not something you believe is “cool” or will impress your friends and others – unless, of course, all these conditions are met! You will be the only person who smokes the pipe, and so yours is the only opinion that matters. Mechanical considerations involve the over-all construction and engineering of the pipe, beginning with the opening of the air hole in the button, traveling all the way through the bit and aligning with the draught hole. The best test is to see if you can run a cleaner without trouble all the way through the pipe, while it is assembled, and into the bottom of the chamber. This is the sign of a well-engineered pipe, whether it be a no-name Italian or an expensive brand. Without getting into names, there is a certain venerable company, on a European island country, with a well-deserved reputation for quality pipes that nevertheless sometimes have a tendency to be buggers when put to this test, even disassembled. In other words, the name and price don’t guarantee the level of engineering. Also, any pipe with a cheap plastic bit is a good sign of one to avoid. Lucite is a high-quality plastic found on many fine pipes, although Vulcanite and Ebonite are the standards. The bit should fit the pipe, neither too loose nor tight, and should be flush all around with the shank. The key is the look and feel of the pipe in your hand and whether it passes the mechanical tests. This brings me to the ever-wider availability of “estate” pipes, which were once owned and enjoyed by previous, unknown pipers. Many of these provide the opportunity to obtain an excellent, collectible pipe that might otherwise be out of your price range at a very low price. The catch is that you need to trust that the person who restored a given estate pipe did so with skill and care to ensure the absence of flaws as well as thorough cleaning and sanitation, the methods of which I will forego explaining here. One final note on this subject: always scrutinize a pipe, new or used, for any cracks, in the bowl, shank or bit! You might be surprised how many flaws are missed by tobacconists. DON’T: As I have already indicated, price is not a necessary part of the pipe choice decision. Affordability, of course, is. Price ranges for new pipes, name brand or otherwise, are about $45-$100 low-end, as much as $250 mid-level and anywhere into five digits or more high-end. If you can afford more, by all means invest in a brand pipe that really grabs you – but not with the thought that the price makes the pipe! The bottom line: Love and protect your pipe by taking the above simple precautions. Any pipe, no matter how generic, will serve you long and well if you do the same for it, and the pleasure and satisfaction you will receive in return are priceless. But don’t sweat it. In almost no time, all of this and more will become second nature. Some of us are in the business of selling, cleaning, refurbishing and restoring neglected pipes and see more than anyone should of the abuses that befall these wonderful works of craftsmanship and quiet enjoyment. Therefore, we have nothing to gain by promoting the constant care of potential customers’ pipes…except for the satisfaction of seeing well-maintained examples.